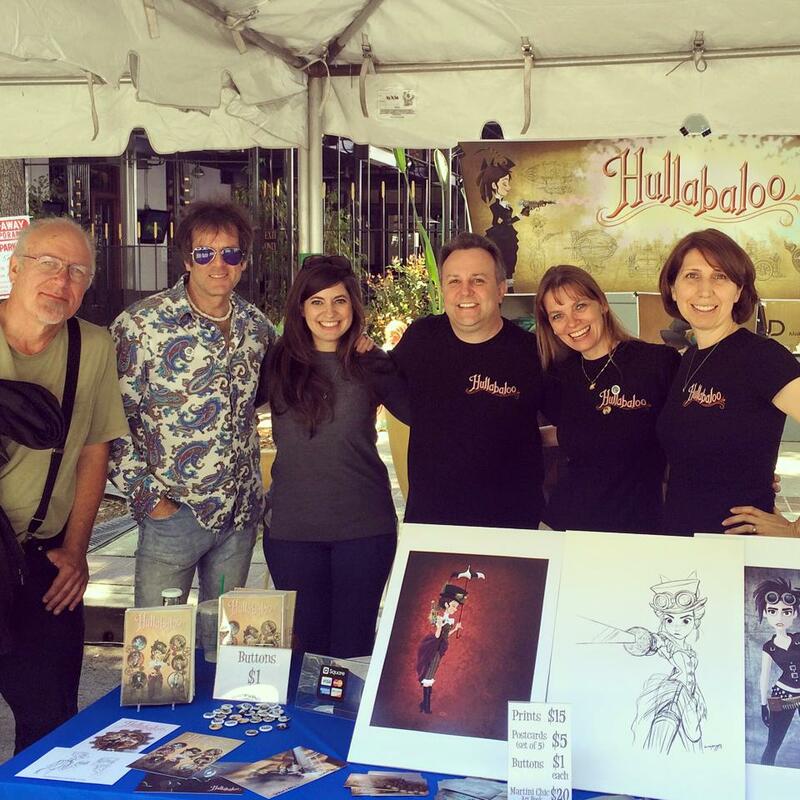 This last week end Hullabaloo was out on the road with other great art and artists at the Burbank Arts Festival. Just as it is a success within the industry, it is also been a complete 10/10 with the public. So many people stopped by to ask where they can see the movie and when it will be showing at the theaters. Kids and adults alike got mesmerized by our screen and the few scenes we where showing. 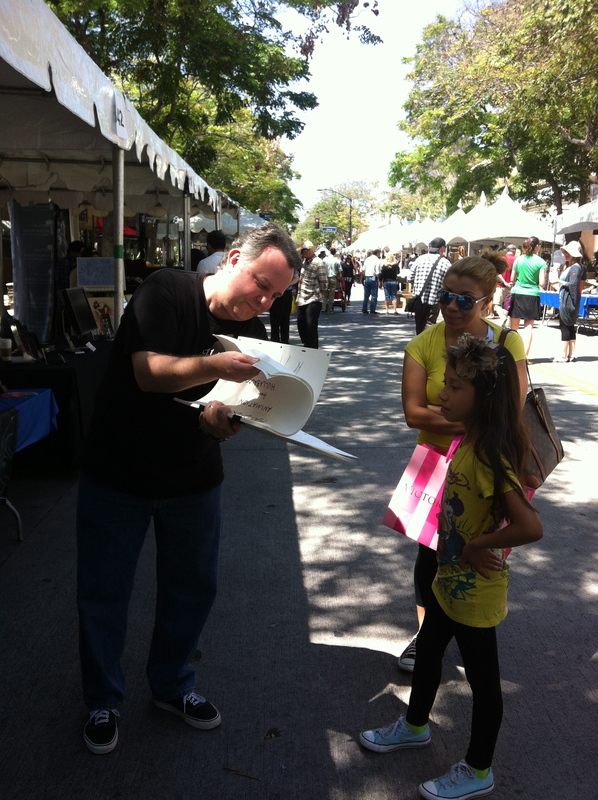 On Sunday we brought an entire scene, animation and clean up to flip for people, so they could see the drawings and the movement and that attracted the crowds like magic was happening in front of their eyes… and so it did. James was barely able to take a few breaks to eat and rest as he was inundated with questions and compliments and everyone wanted to shake his hand for keeping the true magic of animation alive. 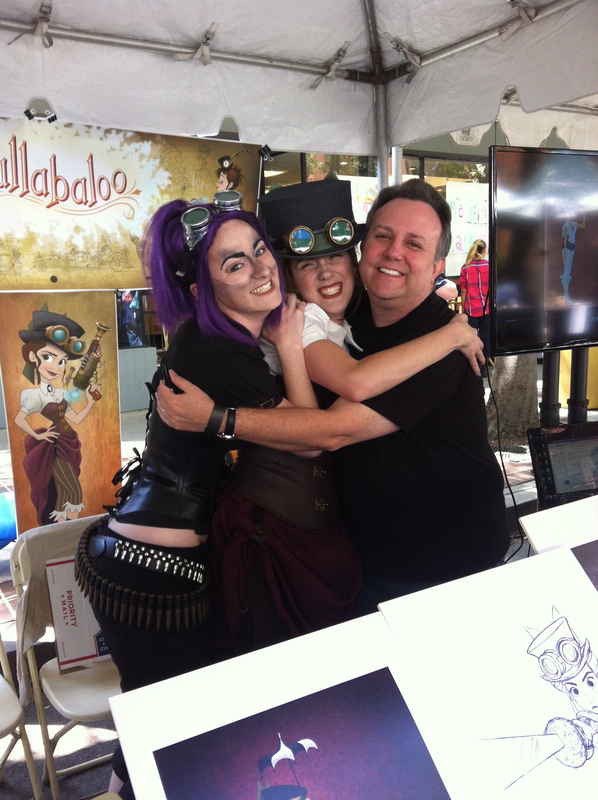 Our wonderful cosplay queens Angi Viper and Caitlin Postal where there on Saturday as Veronica and Jules. As last time they attracted a lot of attention and people liked taking pictures and kids where amazed to see the characters come to life. 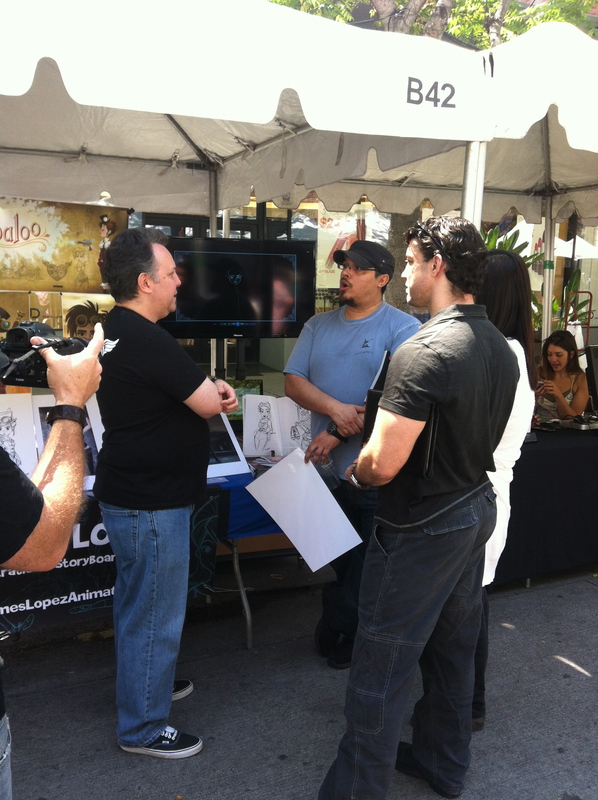 Thank you, to all that came by to say hi and introduced themselves as our patrons on IndiGogo and fans, we loved seeing you all. All in all another great event, thanks to Tina Price, the mastermind of CTN. A bunch of Hullabaloonatics at the CTN RoadTrip. 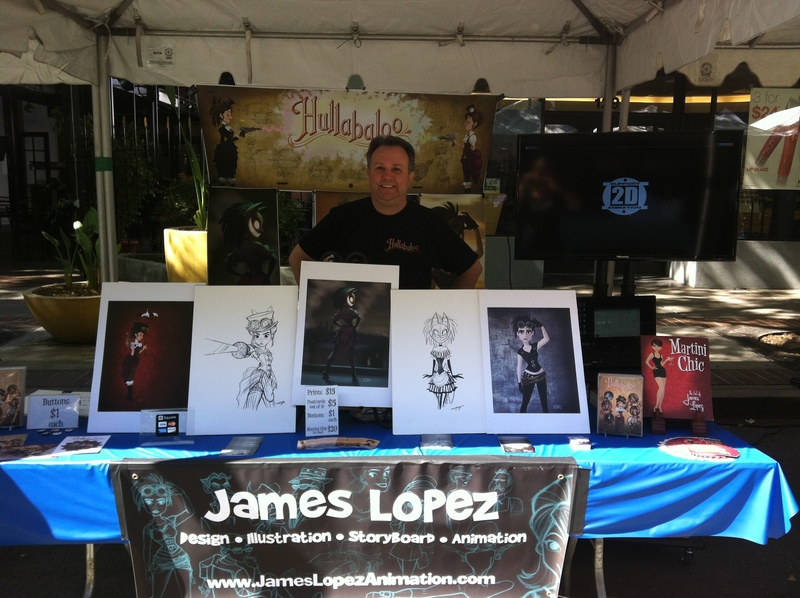 This entry was posted in Animation, Art and tagged 2D Animation, Angi Viper, Animation, artfestival, Booth Hullabaloo, Burbank Arts Festival, Burbank California, Caitlin Postal, Cosplay, CTN Animation Road Trip, CTNexpo, Hullabaloo, James Lopez Animation, support 2Danimation. Bookmark the permalink.